With the holidays fast approaching I know how frustrating it can be trying to get loved ones that perfect gift that is not only practical but will benefit them in ways a flashy pretty piece of jewelry or a cool video game can’t. 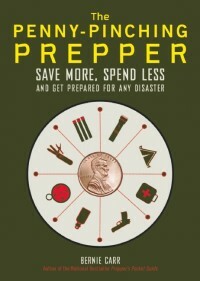 Having first hand experience with getting high dollar prepping items for non-preppers who not only don’t appreciate them but also shake their head in disdain is a feeling all to familiar to me. So here I have compiled a list of 11 gift ideas under $50 that can put that loved one in a better predicament of preparedness without them even knowing it. This list is non-exclusive that will make for great gift ideas for both guys and gals of all ages! Portable Power packs come in all shapes, sizes, colors and capacities. 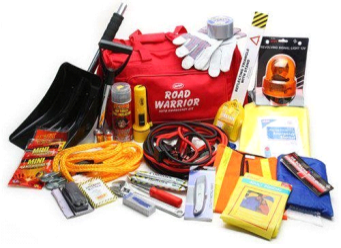 I have found these not only extremely well received by non-preppers but unprecedented by most in the overall preparedness value it brings. The typical IPhone battery is about 2,000 mah of power. 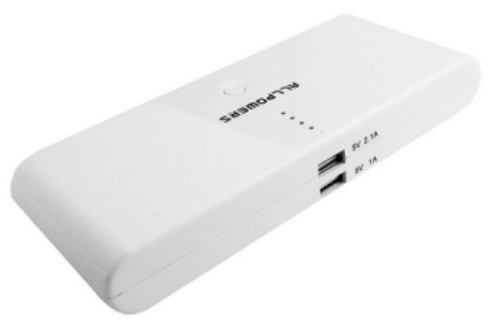 With power packs ranging from 2,000 mah to the 50,000 “All Powers” external power pack. The user can charge their portable electronics many times over. Not only are their uses for small electronics great but also they provide so much diversity in regards to their many colors, sizes and applications. Giving your loved ones the ability to meet all their small electronic needs is a huge prepping multiplier! We all know inclimate weather, terrorism, earthquakes, accidents, and overall disaster will happen it’s never been a matter of if but when. According to Current statistics, there are over 260 million cell phone users in the United States of America! With this knowledge in mind equip your loved ones with the ability to send that text message, write that tweet, updated that Facebook status, hash tag their ideas, post that controversial idea, record that memorable moment. But most importantly give them the life saving power they need to get in contact with Emergency services and loved ones in the event something goes wrong! You will be happier and can rest assured knowing you have set them up for success. Small foldable solar panels are not only “hipster and progressive” (air quotes emphasized for meaning attractive to a younger audience) in many aspects but provide a wealth preparedness capabilities unparalleled in many respects. 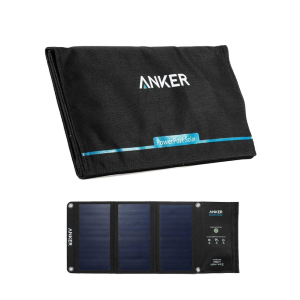 Not only do foldable solar panels provide an unlimited amount of electricity when the sun is out but are very easy to store and user friendly to use. Requiring virtually no maintenance upkeep, they can be that lifeline you can depend on when everything around you is falling apart. 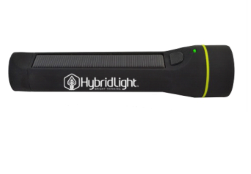 They can be used and implemented anywhere at anytime as long as there is light, even under bad forecast they can provide you the life saving power you or someone you know may need in the even of a disaster. (https://www.youtube.com/watch?v=EXUqtiRW-BM)! Now couple this with an external power pack and now you have an unlimited power source that can keep you off grid indefinitely! You will be hard pressed to find something that brings more independence and stress free living then being able to personally provide for all your small electronic power needs free from the power grid! When you say cutting tools you are referring to a broad diverse spectrum of “sharp objects”. This was done purposely every one is different and requires different types of cutting tools. What I would give a college sorority girl that drives a Toyota corolla and has no preparedness inclination versus an avid hunter that drives a lifted 4×4 truck and stays off the beaten path for days at a time is going to be different in style and ergonomics; but the methodology and application will be very similar. Examples for a self-defense situation I would be more inclined to give a college sorority girl a “Honeycomb Hairbrush concealed stiletto dagger” or a “Cat personal safety keychain”. (http://www.hobbr.com/self-defense-products-for-women/) They are complete concealable very fashionable that can go with any purse or outfit. These items will provide a quick control for an unprecedented attack while serving primarily as an everyday use item. While for my avid hunter, Military, or EMS person I might give a “SOG FastHawk Hatchet” that can be used as a self defense tool, extrication device, wood cutting tool etc. As you can see cutting tools have a wide range of styles and uses that can serve a diverse array of preparedness needs without coming across as such. Portable water filters are one of those small cheap out of sight out of mind water applications that quite frankly will at a minimum sustain life! These make a perfect gift for all people regardless of age, gender, or lifestyle. I can say from personal experience being well traveling around the world these have been a game changer. Being in other countries where the tap water was considered unsafe due to viruses and bacteria I never had to worry about where I got my drinking water. 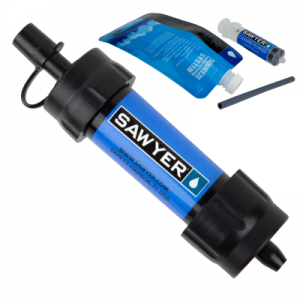 Especially with products like the “Sawyer mini Water Filter” that will easily screw onto any commercial water bottle I was able to fill up my bottle (from any local water source) attach the filter and keep moving without any fear of contracting any water borne illnesses. Most commercial portable water filters on the market today will remove over 99% of all bacteria, such as salmonella, cholera and E.coli and remove over 99% of all protozoa elements such as giardia and cryptosporidium. The “Sawyer Mini Water Filter” Claims it can filter up to 100,000 gallons and weighs only 2 ounces. According to science, the average adult human body is 50-65% water. On average the every day American uses about 80-100 gallons of water per day. While this is taking other water usages into calculation one can still see the importance of water especially when considering that in a disaster the average person will be expending more calories and using more water. No matter where you are whether that be in a local park, traveling in another country, or in the safety of ones home drinking clean potable water is an absolute necessity and water is unequivocally the giver of life! Make having clean and potable water a necessity! 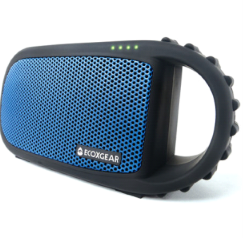 The waterproof speakers with external charging capabilities are what gets the person from the sidelines into the action in regards to preparedness. This is a gateway preparedness gift. Regardless if you are an NCAA Cheerleader, Surfer, camper, Military Service member, or the everyday person the ability to access to and have all their music and electronic needs met is an extremely good selling point. According to a Nielsen’s Music 360 2014 study, 93% of the U.S. population listens to music, spending more than 25 hours each week jamming out to their favorite tunes. The waterproof speakers encourage the user to take their lives off the beaten path, to push beyond the realms of their typical everyday habits. The external charging capabilities give the user an added layer of support and comfort being outside in those environments. Now add a foldable solar panel and the possibilities for adventures off the beaten path are endless. It’s much easier to engage someone in a “what if” scenario or talk about preparedness if your already off the beaten path, outside the “safety confines” of the power grid simultaneously creating your own endless energy while listening to their favorite music. I’m just saying! 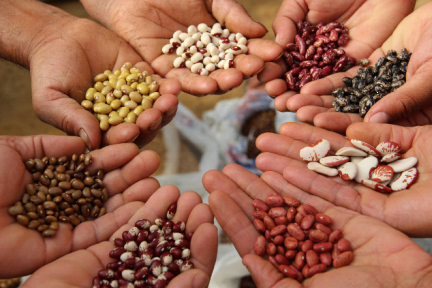 Seeds and plants are one of the only preps “gifts” what will give back in dividends that will well exceed the initial cost. Being able to take a handful of seeds or a plant and create an endless life-sustaining ecosystem is truly beyond words. Permaculture does more then just provides a means by which to feed ones self. Permaculture in many respects is one of the most rewarding pursuits we can do as human beings. Giving us the ability to create and take care of life, being independent of the corporate bureaucracy of Big Ag, and allows one to create their own sustainable paradigm. The lessons gained from the successes and losses of growing. Not to mention the invaluable skill set that has been slowly taken out of our modern day society. Living in a day and age where we have become so dependent on a system that could careless the consequences of their actions and practices should worry us all. So stay one step ahead of chaos get someone you care about a small seed variety pack, or a tomato plant. If you really like them get them a moringa tree! Multi-Tools are invaluable to anyone, they provide hundreds of functions and are more compact then wallet or small makeup case. Yet it provides the essentials to most day-to-day maintenance. Whether we are talking about opening a bottle or performing a plumbing task using pliers and a cutting tool. 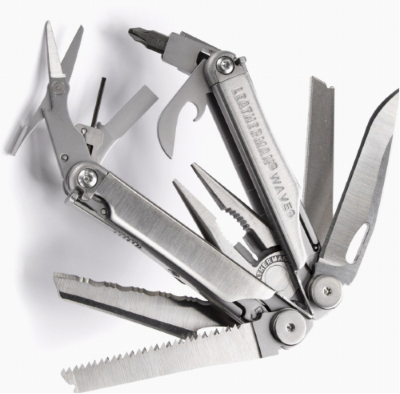 The Multi-Tool is a silent hero; it can be carried as an EDC or left in the glove box of a vehicle until needed. It’s a jack-of-all-trades but master of none. You won’t necessarily build a house with it but it can get you out of pretty much any tight situation you might find yourself in. To top it off, in modern day 2016 Multi-Tools are no longer big bulky steel bricks carried in the same old leather or webbing straps. They come in all styles, colors, and designs. They even have bracelet Multi-Tools! I’ll let you choose what features are important to you but having a power source independent of another source but your will is absolute by its own definition! (http://www.macworld.com/article/2086548/review-seven-off-the-grid-chargers-for-your-portable-devices.html) We don’t get to choose when disaster will strike, or how it strikes, or what is affected. What we can do is decide for ourselves how prepared we will be. Having the ability to provide an indefinite amount of light, power, and communication etc. day and night is what preparedness is all about. 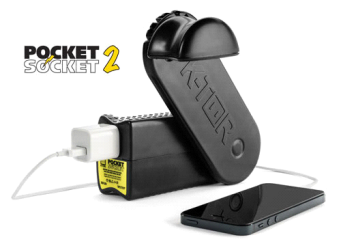 How many times have we looked down at our cell phone and realized we at minimum battery life now, now throw a wrench in your charging plan. That’s where these device swoop in to save the day. Many Hand-Crank Emergency Power Sources charge at the same rate as plugging it into a wall outlet. So in a few minutes you can bring a phone back from the dead regardless of the time, emergency, or situation you find yourself in! Do you know a loved one with a vehicle? Do they have an Emergency Kit in their vehicle? If they don’t they are wrong and so are you! In the United States alone, approximately 7 tire punctures occur every second, resulting in 220 million flat tires per year (http://www.activetools.com/education-center/the-science-behind-our-compressors). Approximately 50% of Americans don’t know how to change a tire (That’s just reported). I could talk to you for days on this subject but at the end of the day one must ask him or her self some simple questions. In an emergency situation will you depend on technology (AAA), the kindness of a stranger, or empower your self and loved ones to be self-sufficient? I can’t tell you how many people I have helped that have found themselves broke down on the side of the road. It breaks my heart because I know somewhere down the line they were failed! Don’t fail your self or your loved ones. Give them and yourself the tools for success and most importantly train them to do the basics! Last but certainly not least we have candles and fire starters. I put these two in the same category because they go together very interchangeably. For the record U.S. retail sales of candles are estimated at approximately $3.2 billion annually, excluding sales of candle accessories (Source: Mintel, 2015). 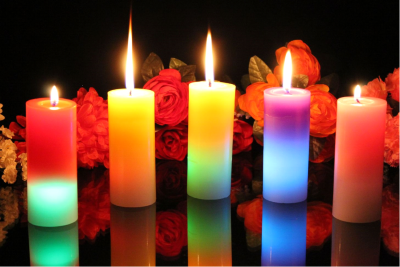 Candles are used in 7 out of 10 U.S. households, and are seen as an acceptable gift by both men and women. Not to mention Candles come in an endless variety of shapes, sizes and uses. We see this from votives to floating candles to those that are used in religious and ritual like settings. Regardless of why or how you use candles the ability to hold a flame is paramount in a disaster situation! So if holding a flame is paramount starting a flame is essential. Now I’m not advocating going out and getting everyone a Ferrocerium rod bush craft kit with char cloth all included. Nor am I saying go out and get your 19 year old college sorority daughter a pack of cheap plastic bic lighters either. The great thing about fire starters now-a-days is that they come in all styles and colors. You have the Colibri Scepter lighter that looks like a tube of lipstick for the ladies to the custom Harley Davidson zippo for the seasoned veteran biker. In my humble opinion I would say that candles and fire starters are not only the easiest, and least expensive gifts to give but will arguable be, the first thing one reaches for in the event of a disaster. The ability to have a lite candle not only helps our physical needs in regards to light and heat. But the psychological ones are just as important if not more. The flame’s soft illumination reaches the soul; it can deliver hope and instill a calming relief. This coupled the aromatherapy of a scented candle can literally make all the difference in a disaster setting! 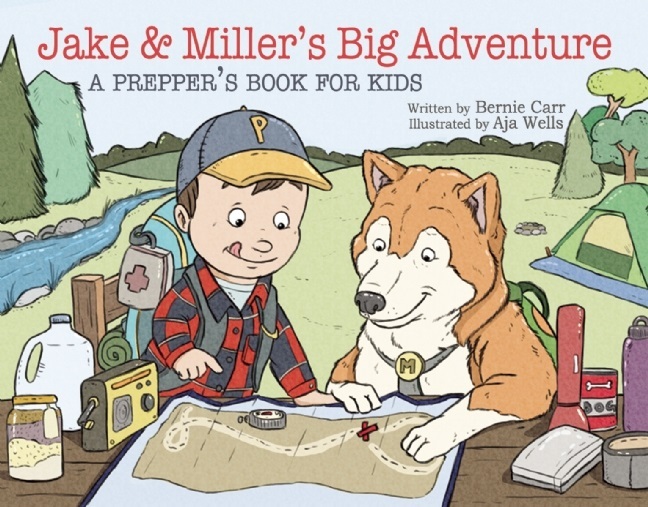 This completes my Top 11 gifts for your non-prepper friends and family. While the old slogan “it’s the thought that counts” may resonate with a lot of people it’s important to realize that your feelings and thoughts won’t be the deciding factor in who lives and who dies. Their ability to react logically and swiftly with the right tools will be the deciding factor. While you may not be able to control ones actions you can equip them with the right tools and get the brain working in the preparedness mindset without them even realizing it and that is the purpose of this article. I can tell you from personal experience when I realized this reality. I was there when the May 3rd Tornado that hit the Midwest in 1999. Not only do I remember the destruction that it left in its wake in my small Cleveland County, Oklahoma town. I remember my mother reaching under the bathroom sink to grab three candles so she could provide just a little light to her 3 confused and frightened boys. I remember her lighting these candles she had received as a gift. I don’t remember who gave them to her, but I can tell you I will never forget the smell of that first apple cider candle she lite, nor will I forget the impact of what a simple candle can do for a small frightened family in a ravaged home. I don’t personally think that individual who gave us those candles envisioned the scenario that they would be used for. Nor do I believe they knew the impact that such a small gift would have on someone’s life. But what I can say unequivocally was that small flame ignited hope, determination, and most importantly an unquenching desire to seek knowledge on all that is preparedness and to teach others everything I can. So wherever you may be, wherever life might I have taken you I want to say from the bottom of my heart: Thank You. I hope you guys enjoyed this article, I hope to bring you more content in the future. Mike Harris is a full time RV’r spending the last couple years traveling not only the country but all over the world. Being a 4th generation sailor he has not only operated all over the world but grew up experiencing the rich diversities that make this world great but also a dangerous place. He is still Active duty he is a Search and Rescue Corpsman (Flight Medic) and an Aerospace Medical Technician. His preparedness and desire for sustainability are deep rooted in reality. Having to endure and face catastrophe is not just a job description but also his personal mission. He has trained both local and federal agencies as well a foreign. He done real life missions he was there during hurricane Sandy and was also apart of the 2515th NAAD. When not working or prepping you can find him traveling the country in his RV, hiking off the beaten path or enjoying much needed catch up time with friends and family. You can catch his adventures on his YouTube channel (https://www.youtube.com/channel/UCoYB6ppUgCAA_47SlIrqOIg).